When a couple get married, it is the coming together of two families. There are traditional roles for the parents and it is quite common for brothers and sisters to be involved in different ways as well. But when a couple already have children, either from a previous relationship or before marriage, it stands to reason that they be included too. Many blended families use a unity sand ritual to symbolise the coming together of the different elements of the new family unit and, just like the different coloured grains of sand, are never to be seperated again. It's sweet and everything, but it has been DONE (and done and done again!). And unity candle rituals do not work at an outdoor wedding ceremony - TRUST ME. So we need some new, cute (and maybe less kitch?) ways to include children in a wedding ceremony and I think these 6 ideas are gold. Some are just for laughs and others are a keepsake or memento that can be looked back on and admired for many years to come. 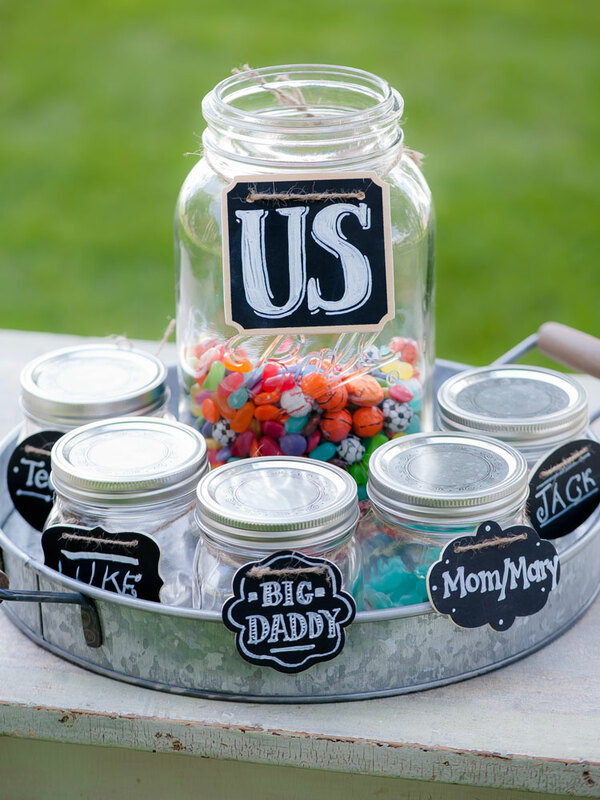 Instead of using sand, small jars labelled with each family member’s name holds their favourite lolly, candy, sweet or whatever you want to call them. Every family member has their own strengths, wishes and hopes and their chosen lolly represents those differences. The act of layering the candy is also a symbol of the different members of the family bringing their own unique flavour to the mix. When the family member is asked to come forward to combine their lolly into the ‘Us’ or ‘Family’ jar it is symbolic of the compromises that need to be made, but also how life is all the more sweet and exciting when families come together and share what they have with each other. 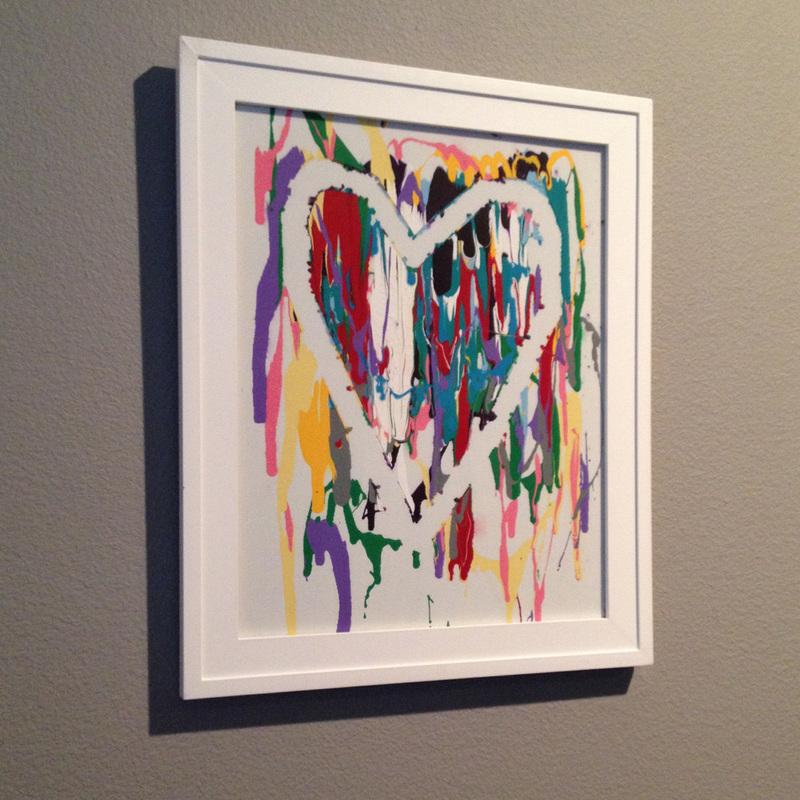 Prior to the ceremony, painter’s tape is used to mask off the outline of the heart on the white canvas. During the ceremony, after the exchange of rings, each member of the family comes to the front, picks up their tomato sauce-type bottle of acrylic paint (containing a different colour for every member of the family) and squirts the paint onto the canvas in whichever way they want. It is symbolic of the diversity and unity of a family, how every member needs to be recognised for their special talents and how the sum of the parts is greater than the individual. Once the paint dries (1-2 weeks depending on the weather) carefully remove the masking tape and frame it to display in the family home. From early civilization, rock cairns have been used for practical and symbolic purposes. The rock sculptures were built by those who had been down a path, to mark the way for others to follow. They were used as directional markers, showing the follower the way home or to safety. Rock cairns are also a symbol of the spirit of friendship and hope, and the values of strength and solidarity. The building of a rock cairn by family members during a wedding ceremony symbolises the creation of a strong foundation, a unique family identity and the blending of two families. It would also look great as a garden sculpture for many years to come. With this ritual, each family member is given a single letter from the word, “Family,” which they carry into the ceremony. When each person arrives at the end of the aisle, they place their letter in the appropriate spot on the table at the front. This is a simple and moving gesture and only requires a minimal level of creativity and choreography. Each member of the family has their own unique personality, talents and wishes for the future. Every one is different, but everyone contributes to the whole; a different piece of the family puzzle. Each member of the family is just as important as the next and when a piece is missing, the whole is not balanced. Everyone needs to be recognised and contribute to make a family work. Sometimes puzzle pieces need to be worked a little to fit into place, but when they are where they should be, locked together with the other pieces - side by side - the whole is more beautiful and strong than any single piece on its own. Owning a special piece of jewellery that has the fingerprints of all family members is a tangible way of feeling close every day. Although technically, the taking of the fingerprints and the creation of the unique jewellery can't usually occur during a wedding ceremony, the presentation of it and the symbolism and story behind it CAN be relayed and it is just as powerful.